In September 2016 in Collaboration with Southern Guild represented South Africa at first London Design Biennale at Somerset House. Fiona was born in Cape Town. Fiona has furry tongue. Fiona loves fish. Fiona loves children. Fiona hates Sea World. Humanest Swing – selected as part of the Vitra Design Museum “Making Africa” Exhibition and now part of the Vitra Design Museum permanent collection. Very proud. Good bird. 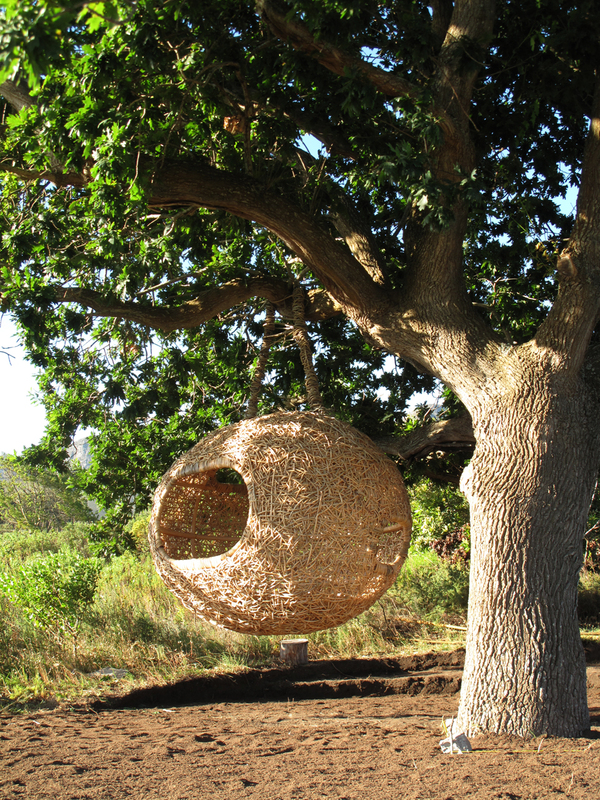 Nests woven with recycled plastic packaging straps. developed with Leonie Vlaar and Lois Stolwijk, 2 design students from School of Arts Uitrecht that have been interning with me. Constructed monsters from plastic waste for Tuffy print Campaign with Saatchis Cape Town. He stands 7 ft tall and is pretty and ugly. Fun dog ball I designed. It is manufactured and distributed by Rogz for Dogz. Has a hole in the back that you can put treats in and ensures the ball is placed in the right orientation. Co-designed by Warren Lewis, the birdhouse acts as a deterrent for uninvited visitors as it can be mounted outside, either on a tree or against the wall.